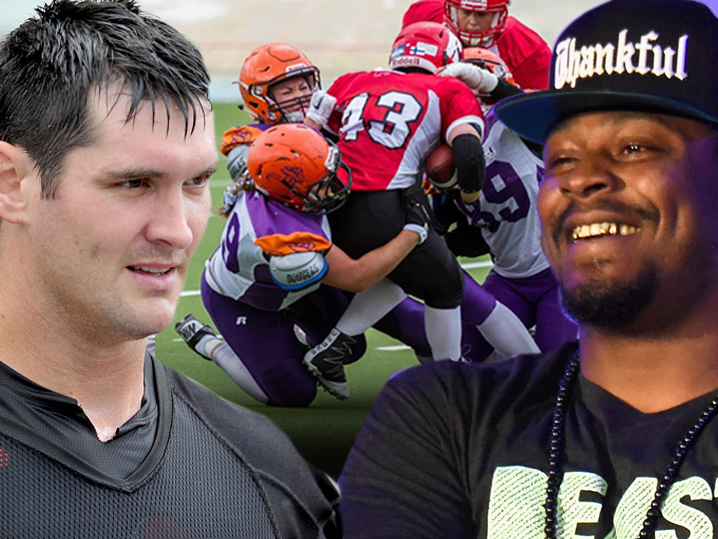 It’s about to go Beast Mode in Finland … where Marshawn Lynch and Gary Barnidge are gearing up to run a female tackle football camp … TMZ Sports has learned. Turns out, women’s football is EXPLODING in the Nordic country — they’ve already got a whole bunch of female full contact pro teams … and now, they’re getting NFL guidance. It’s all part of the American Football Without Barriers foundation and Barnidge — Cleveland Browns tight end — says this will be the first time they’ll have a women’s only camp as part of the program. The two have previously taken the program to places like China and Egypt … and Barnidge says the programs were so successful, one of the Egyptian players was offered a spot on TWO American college football teams, Western Kentucky and South Alabama. This year, Barnidge says a whole bunch of NFL stars, including Falcons center Alex Mack and Steelers RB DeAngelo Williams, will join the guys (and girls) in Finland … where they’re sure to spot even more top football talent.